Our Medical Advisory Board assist the ED Society in helping to find medical professionals close to your home who have an understanding of Ectodermal Dysplasia. They are in close liaison with the Society to help answer the many questions raised. The Medical Advisory Board give their time voluntarily, for which the ED Society is most grateful. Medical research projects are being undertaken worldwide and our Medical Advisory Board are involved in many projects. Please take a look at the medical page for more information. Coming from a background in Paediatrics, Angus has worked in Clinical Genetics at Cardiff since 1989, with particular interests in ectodermal dysplasia and Rett syndrome, the genetic counselling process and the social and ethical issues around human genetics. He has authored or edited ten books, often with colleagues, and numerous research papers and book chapters. He has directed the Cardiff University MSc course in Genetic Counselling since it was launched in 2000. He contributes to policy discussions – he was a member of the Human Genetics Commission – and the writing of reports for the British and European Societies of Human Genetics. Angus has actively supported the UK Ectodermal Dysplasia Society and Rett UK and is working to develop clinical trials of novel treatments for both conditions as well as supporting the societies and their members. John Hobkirk trained in the UK and Sweden, moving to the Eastman Dental Institute and Hospital in London as Senior Lecturer and Consultant in 1976. He subsequently became Professor and Chairman of the Restorative Division at the Eastman. He has special interests in dental implantology and the management of hypodontia, and in 1977 founded probably the world’s first multi-disciplinary clinic for the treatment of this condition. Many of his trainees subsequently went on to establish similar clinics elsewhere in the UK. He has published widely, including six textbooks, one of which, written with the Eastman’s hypodontia team, is a world’s first on hypodontia. Since retirement he has continued to publish and teaches regularly on international graduate programmes. He has been a member of the Society’s Medical Advisory Board since 2000 and maintains its Hypodontia Clinic data base. Dr. Jones was born and educated in the North-West of England. She studied medicine at the University of Cambridge (1989-1995) and undertook post-graduate training in Medicine (1995-1998). She was awarded a Welcome Trust training fellowship and completed her PhD at the Institute of Genetic Medicine, Newcastle upon Tyne (1998-001). She completed her medical training in clinical genetics and spent a further two years as a post doctoral research fellow. She was appointed as a Consultant Clinical Geneticist in Genetic Medicine, Manchester in 2008. Her specialist interests include genetic conditions that effect the skin and tuberous sclerosis complex. Liz has over twenty years experience of teaching in both mainstream and special education. Her research interests include poststructuralist theory; feminist theory; social constructions and deconstructions of ‘the child’ and ‘childhood’. Liz leads the Centre for the Cultural Studies of Children and Childhood, which is affiliated to the Educational and Social Research Institute. Professor Michael J. Tipton – Professor of Human & Applied Physiology, Extreme Environments Laboratory, Department of Sport & Exercise Science, University of Portsmouth, UK. Educated at the Universities of Keele and London, Professor Tipton joined the University of Surrey in 1986. After 12 years at the Robens Institute and European Institute of Health and Medical Science he moved to the University of Portsmouth in 1998. In addition to his University positions, Professor Tipton was based at the Institute of Naval Medicine (INM) from 1983 to 2004 and was Consultant Head of the Environmental Medicine Division of the INM from 1996. He has spent over 35 years researching and advising the military, industry and elite sports people in the areas of thermoregulation, environmental and occupational physiology and survival in the sea. He has published over 550 scientific papers, reports, chapters in these areas as well as the books, “The Essentials of Sea Survival” (Golden & Tipton, 2002) and “The Science of each Lifeguarding” (Tipton & Wooler, 2016). Professor Colin E Willoughby is Professor of Ophthalmology in Ulster University and a Consultant Ophthalmic Surgeon in the Belfast Health and Social Care Trust in Northern Ireland. Colin underwent his ophthalmology training in the Mersey Deanery and was Clinical Lecturer in the University of Liverpool. During this post he developed a clinical and lab-based research interest in ectodermal dysplasia and ocular surface and was awarded a Doctorate of Medicine from the University of Liverpool in 2004 for his work. Colin has also trained in clinical and laboratory ocular genetics in the Hospital for Sick Children in Toronto and spent 9 years as Senior Lecturer at the Centre for Vision and Vascular Science at Queen’s University Belfast. He was Professor of Ophthalmology at the University of Liverpool (2013-2017) and is also part of the corneal and glaucoma service in St Paul’s Eye Unit, Royal Liverpool University Hospital. His research theme is to apply genomic medicine to ophthalmology and develop molecular therapies. The main focus of this research is to improve the understanding, diagnosis and treatment of two major worldwide blinding disorders: corneal blindness and glaucoma. Mike Harrison carried out his specialist training in Paediatric Dentistry in Cardiff then Guy’s Hospital, London. He studied dental genetics at the Institute of Child Health before holding academic and clinical posts at the Eastman Dental Institute, King’s and Cardiff dental hospitals. He is currently a Consultant at St Thomas’ Hospital and the Evelina London Children’s Hospital. He was author of the first UK national clinical guideline for the use of general anaesthesia in paediatric dentistry, and chaired the Paediatric Dentistry Clinical Effectiveness Committee. Mike lectures internationally on dental genetics and dental care for children with medical or genetic problems. He sees a large number of children with ED as part of the Guy’s and St Thomas’ Dental Hospital Hypodontia team to provide the best possible smile from infancy to young adulthood. Miss Claire Forbes-Haley, BDS, MJDF, RCS, FDS, RCS Res – Consultant in Restorative Dentistry and Lead for Developmental Dental Abnormalities for University Hospital Bristol Trust. Celia Moss is a Consultant Dermatologist at Birmingham Children’s Hospital (BCH) and Honorary Professor of Paediatric Dermatology at the University of Birmingham. She trained in Medicine at Oxford University and University College Hospital, London (qualified 1975), and in Dermatology in Newcastle-upon-Tyne. Previous national appointments include Chair of the British Society for Paediatric Dermatology, Chair of the UK NHS Clinical Reference Group for Specialised Dermatology, and Convenor for Dermatology at the Royal College of Paediatrics and Child Health. 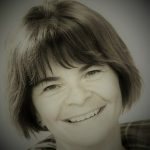 She is a member of the Advisory Boards of the British Journal of Dermatology and several national patient support groups, and is a member of the ectodermal dysplasia subgroup of the European Reference Network for Skin. She lectures, advises and publishes widely on Genetic and Paediatric dermatology, and has contributed chapters to the major UK and US textbooks. She was awarded the British Association of Dermatologist’s Sir Archibald Gray Medal and an OBE in 2016 and to be featured in the Medical Women’s Federation Centenary booklet 2017. Now semi-retired, she and her husband travel frequently, supporting colleagues overseas, particularly in India. Dr Heidi Williamson, CPsychol – Chartered Health Psychologist, Senior Research Fellow at the Centre for Appearance Research (CAR) and Senior Lecturer at the University of the West of England. Her work involves research and project management, teaching and doctoral supervision. She has been based at CAR for the past 10 years, predominantly devoting her time to understanding psychosocial adjustment to appearance-altering conditions and injuries, designing and evaluating interventions to support those who are struggling, and supporting multi-disciplinary health professionals to improve the care of patients with body image concerns. She is a member of CAR’s senior management team, sharing responsibility for the growth of what has become the world’s leading and most influential center for body image and appearance research. She collaborates closely with patients, family members, health professionals, the UK’s National Health Service and private health providers in the UK and provides consultation on body image-related projects across Europe, in Australia, the USA and Canada. 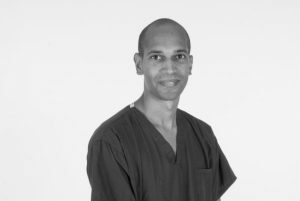 Mr Gaskin qualified as a doctor in Leicester and completed his ENT registrar training in the East Midlands. He undertook a specialist 12 month fellowship in paediatric ENT at the Royal Manchester Children’s Hospital, one of the largest children’s hospitals in Europe, undertaking in particular advanced paediatric airway procedures. Mr Gaskin was appointed as a paediatric and adult ENT consultant in 2015 before moving to Bristol in 2016. He has a specialist interest is in paediatric airway conditions. He is an Honorary Senior Lecturer for the University of Bristol and Treasurer and Membership Secretary for the South Western Laryngological Association. Kirsten qualified from Dublin Dental School, Trinity College, Dublin with the class of 2000. Following a period of time in general practice and community dentistry, she undertook formal training in paediatric dentistry in Dallas, Texas. There she pursued her clinical training in a combined university and hospital setting, and ultimately attained a Masters degree from Baylor College of Dentistry. Her research examined undergraduates’ clinical experiences in paediatric dentistry using a qualitative approach. She completed the American Board of Paediatric Dentistry exam process in 2007 and has served as Consultant Examiner to the Board for the Oral Clinical Examination. She is a Fellow of the Faculty of Dentistry of the Royal College of Surgeons in Ireland. In her primary clinical role, she is one of two consultant paediatric dental surgeons at Ireland’s largest paediatric hospital, Our Lady’s Children’s Hospital, Crumlin, providing secondary and tertiary care services to children with complex medical, physical and behavioural needs, and for children with congenital craniofacial differences. 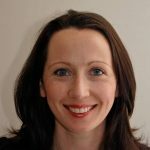 She teaches postgraduate students in paediatric dentistry and students in dental hygiene, dental nursing and orthodontic therapy both at the Dublin Dental University Hospital and at the children’s hospital. Her special interests are in providing restorative care for adolescents and young adults with advanced dental problems, in motivational interviewing as a communication style, and in educating the wider healthcare community on the basics of oral health.